Let’s look at the four-hour chart. Tenkan-sen line is below Kijun-sen and the price is stuck between them. 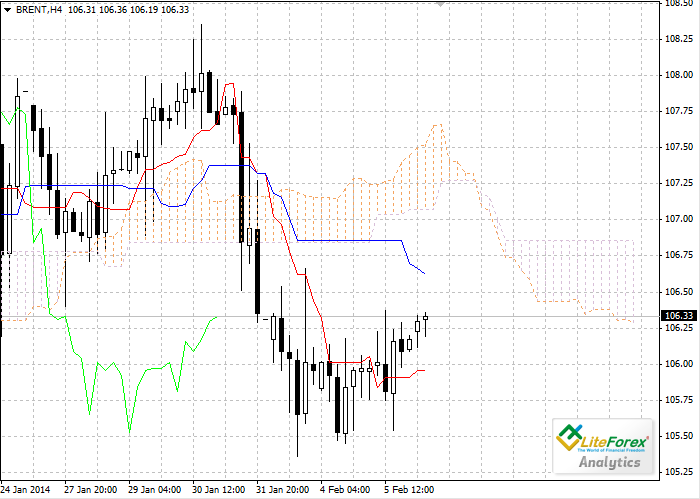 Chinkou Span line is approaching the price chart from below; current Kumo-cloud is descending. Red line and the blue one have become support (105.96) and resistance (106.63) levels respectively. On the daily chart Tenkan-sen line is also below Kijun-sen, the blue line is directed downwards while the red one remains horizontal. 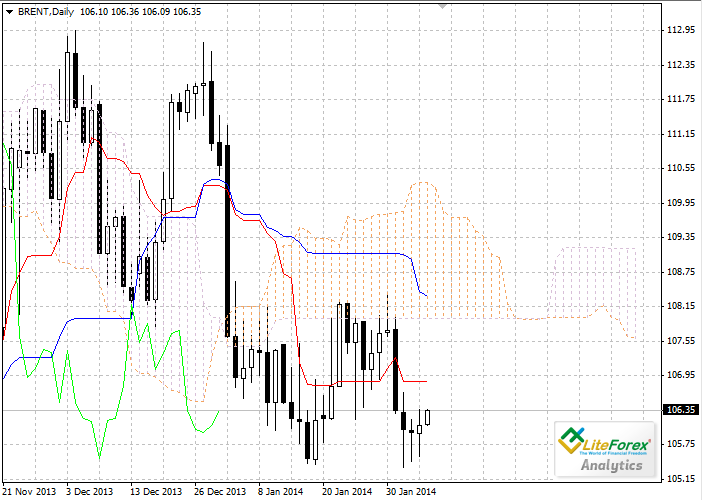 Chinkou Span line is below the price chart, current cloud is descending. After long-term correction Brent starts to fall again. The closest support level is one of the previous minimums of Chinkou Span line at 105.51. Tenkan-sen line (106.85) is a resistance level. On the four-hour chart we’ll get a signal to buy, if Chinkou Span crosses the price chart. However on the daily chart Brent is falling within a sideways channel. Targets for the sell positions are 105.96 and 105.51.